4:00AM(B) – You’ve seen this one before. An egg omelet made with 5 egg whites and 1 egg. 1 slice of Ezekiel bread plus 1/2 tblsp of Justin’s Classic Almond Butter . 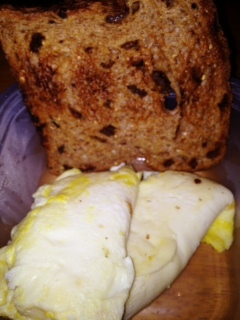 6:05AM(S1) – After our WOD, I had my SFH PWO Whey Protein + 1 tblsp of Flax Seed. Then I enjoyed 1/2 cup of coffee at our CoffeeWOD. 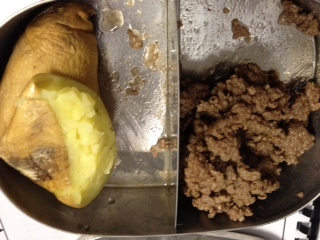 10:15AM(S2) – My snack was a 4oz sweet potato plus 3oz of GrassFed Ground Beef. Delish! 1:50PM(L) – I was starving when it finally came time to eat. I would have eaten earlier, but I got sucked into meetings. 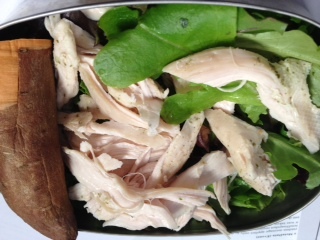 My lunch was a salad with 4oz of chicken breast and 4oz of sweet potato. 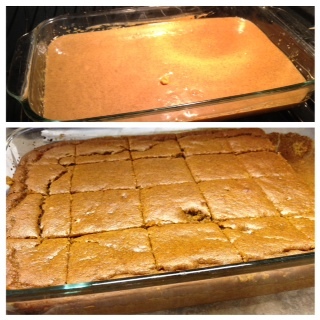 Once I got that in the oven, I had to get hubby’s dinner ready. 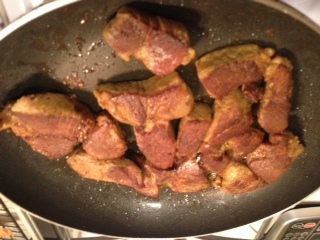 Two days ago, I was prepping some pork shoulder steak that I got from Marin Sun Farms. At least that is what I think it was. Anyways, I used R and Nom Nom Paleo carnitas recipe looked delish, and I wanted to try it. So the pork was sitting in the SousVide Supreme for 24 hours already. I took it and quickly pan-fried them in bacon grease. Smelled so good. Hubby said it was a bit too salty. Maybe I brined it with too much salt. But he devoured it. Once hubby got home, I quickly left to meet with one of my BFFs for dinner. We met at Pasta Pomodora, which had a good selection of healthy eats. 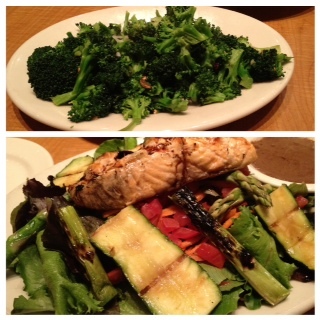 I ordered the salmon salad and it came with lots of veggies. I also ordered a side of broccoli that was sauteed in garlic, hot peppers, and olive oil. Nothing tops the day like good conversations over good eats. Enjoy! I was looking at almond butters in the store yesterday and saw Justin’s…how do you like it? I was considering buying it on amazon as well. I like it! It’s on the expensive side, but it taste great and really smooth.